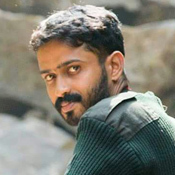 Sandeep Das: I am a naturalist from Kerala, currently pursuing PhD at Kerala Forest Research Institute and my research is on the ecology and behaviour of anurans of grasslands and shola ecosystems of the Western Ghats. I started my career in amphibian research as a taxonomist and later moved on towards research on amphibian ecology and behaviour and the first species that I worked on was Nasikabatrachus sahyadrensis, the Purple Frog. Since 2011, I am working towards the conservation and research of this living fossil, the Purple Frog, with the support of Zoological Society London, EDGE fellowship(2016). 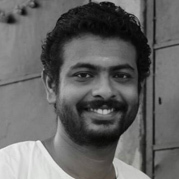 Akshay A. Khandekar: I am interested in taxonomy and systematics of snakes and lizards. I have completed my MSc in Zoology from Shivaji University, Kolhapur and currently associated with the Museum and Field Stations Facility at NCBS, Bengaluru, as a intern. Previously I worked at the Centre For Ecological Sciences, IISC, Bengaluru as a Project Assistant. My main research interest is systematics, biogeorgraphy, and taxonomy of blind snakes in India. I am presently working in collaboration with various experts on the descriptions of a few reptiles from India and ecology of lizards. Nikhil Gaitonde: I was facinated by reptiles as a child and persued the interest by completing the masters degree in Zoology from the University of Pune. Over the years I have participated in several biodiversity surveys. 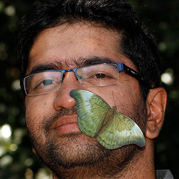 I have keen interest in animal mating systems and currently working on the unique mating of the Western Ghats endemic frog, Nyctibatrachus patreaus and mimetic butterfly Papilo polytes for my PhD at the NCBS, Bengaluru. 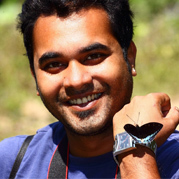 Krushnamegh Kunte: I am a naturalist broadly interested in the biology of butterflies. I received my PhD in Integrative Biology from the University of Texas at Austin, USA, in 2008. I was a Post-Doctoral Research Fellow at Harvard University, USA, until 2011. In 2012 I joined the faculty at the National Center for Biological Sciences (NCBS), Bengaluru (=Bangalore), as a Ramanujan Fellow. My research lab at NCBS investigates speciation and morphological diversification in butterflies. I have authored dozens of research papers and three books on butterflies. Read more at http://biodiversitylab.org or contact me by email if you want to learn more about my research. 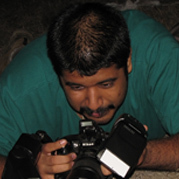 Sushil K. Dutta: I work in two areas of life-sciences, developmental biology and systematics of amphibians and reptiles of India. I have published series of books and scientific articles on various aspects of Indian herpetology. I was instrumental in oranising series of Schools in Herpetology in India, a program sponsored by DST-SERB, Government of India. I have conducted surveys in various parts of India and described several new species of amphibians and reptiles from India. 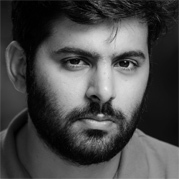 Shashank Birla: My full-time job has me mostly working on waste paper but it is wildlife I have been most passionate about since childhood, and I am happiest tramping off into the wilderness whenever the opportunity arises. Over the recent years, I decided to do more than just gape in appreciation and have sought to gain a better understanding of natural history including amphibians and reptiles, volunteering in the field with researchers, working with citizen science projects, while also sharing whatever little knowledge and experiences I have gained from the time I spend in field by way of popular writing. 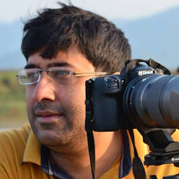 Hemant Ogale: I am a mechanical engineer by training and nature enthusiast by heart. I am based in my hometown Amboli in south-western Maharashtra and run a small resort, Whistling Woods. I have been documenting amphibians, reptiles, plants and butterflies in the Amboli area, for over a decade. I also study butterfly diversity of Amboli at various altitudes, their early stages, larval host plants and variation in preferred host plants. I am extending my support to various nature enthusiasts and researchers as well, who visit Amboli to study the biodiversity. 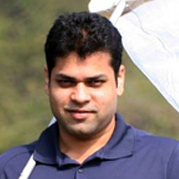 Swapnil Pawar: I am a naturalist and keenly interested in biodiversity, presently based in Kolhapur, Maharashtra. I started participating in various scientific explorations with experts from my college days. I am presently conduting wildlife photography tours across India, which gives me immense opportunity to photo document the biodiversity. I am interested in reptiles and passionate about their natural history. 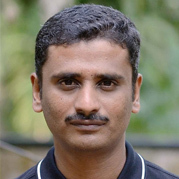 Manoj P: I am a naturalist working in SciGenom Research Foundation, Thrissur and lives in Kollam district, Kerala. I am a graduate in History from University of Kerala and a Naturalist by passion. It is about 20 years now after I started getting to know nature through a different mind-set than common. It all started as interest in bird watching back in the year 1990 from a book by Prof. K K Neelakandan about bird watching. Writings of Dr. Salim Ali, Kenneth Anderson, Jim Corbet and EPG also inspired my passion towards nature and nature conservation photography. My keen interest is in documenting flora and fauna especially reptiles, amphibians, insects, birds and their ecology. 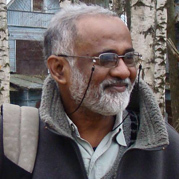 Ninad Gosavi: I am interested in taxonomy and ecology of Amphibians. I have completed my MSc in Zoology from Shivaji University, Kolhapur. Previously I participated in several biodiversity surveys. My research interest is behavior and ecology of Amphibians. I started documenting calls of birds in my college days, now I have developed keen interest in bio-acoustics of frogs and toads. 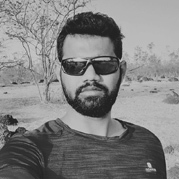 Abhijeet Bayani: I worked with IISER, Pune during my PhD and studied Human-herbivore conflict (to be precise crop raiding by herbivores) at Tadoba-Andhari Tiger Reserve. after PhD I continued conflict work but with more emphasis on carnivores. I worked in unexplored areas in central India such as Gadchiroli, Gondia, Kanha-Pench corridor, Satpuda Tiger Reserve. Currently, I am based in Indian Institute of Science, Bangalore and working as UG Instructor. 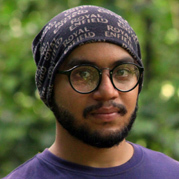 Varun Satose: I am interested in behavioral and habitats study of reptiles and amphibian. I have completed my Master in Environmental Science and Management from Mumbai. Currently persevering PhD in zoology from Mumbai university on "Malabar pit viper venom and its bio active proteins properties". My research interest is on macro habitat of reptile and amphibian and their taxonomy. 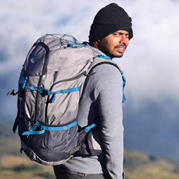 Chaitanya Shukla: I am trained Computer engineer and a trekker/nature enthusiast at heart. Currently based in Pune working in IT and documenting wildlife found on outskirts of Pune(especially the drier grassland habitat). I do spend my free time trekking in Sahyadris or West Himalayas. I also extend support to researchers and nature enthusiasts interested in Sahyadris or Himalayas. Jayaditya Purkayastha: I am interested in studying the systematic of amphibians and reptiles of Northestern India. My PhD work is concerned with taxonomy of aquatic snake genus Xenochrophis. I work as general secretary of Help Earth (www.helpearth.co.in), an NGO working on conservation and research of biodiversity. Till date I have published more than 30 research articles and 5 books mainly concerning herpetofauna. Anonymous. 2019. About Us: Aoi Website Team. In Khandekar, A., N. Gosavi, N. Gaitonde, P. Roy, and K. Kunte (eds.). Amphibians of India, v. 1.03. 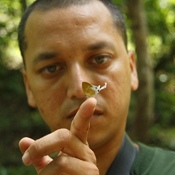 Indian Foundation for Butterflies.